The governor's 125-page U.S. Senate financial disclosure statement yields another revelation. The portfolio of Gov. Rick Scott and First Lady Ann Scott includes earnings last year of at least $2.9 million in two dozen hedge funds registered in the Cayman Islands, a well-known tax haven for U.S. and foreign investors. The investments had a minimum total value of $25 million and a potential value of $62 million, according to the financial disclosure statement Scott filed last month as a U.S. Senate candidate. The 125-page statement included details of Scott's blind trust, managed by a New York trustee who's a former business associate of the governor's. "The governor had no role in selecting that investment," said a spokesman for Scott's campaign, Lauren Schenone. "The blind trust is managed by an independent financial professional who decides what assets are bought, sold or changed." Scotts' assets totaled at least $255 million. The governor has not said whether he will continue to have a blind trust if he's elected to the U.S. Senate. Of the 23 individual investments the Scotts listed, six are in the governor's name and 17 are in his wife's name. 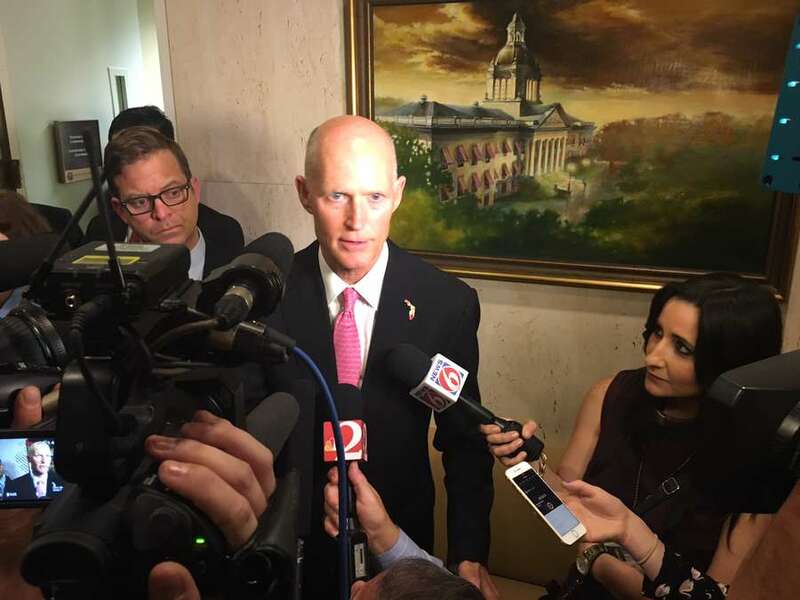 The July 27 filing is the first time in his nearly eight years as governor that Scott was required to disclose his wife's financial holdings. Foreign investors park money in the Cayman Islands to avoid U.S. taxes. The British territory also is favored by corporations and partnerships that want to avoid the long reach of the IRS in taxing unrelated business income. Scott's campaign said the principal place of business for one fund, Overlook 3G Investments, is Hong Kong. 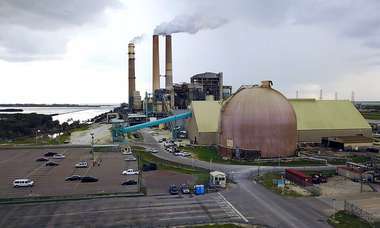 But the company's web site describes that fund as a Cayman Islands exempted limited partnership that was formed two years ago to invest in a Chinese utility company. Another investment listed by the Scotts, Canyon Balanced Fund LP, was held solely by the governor and had a value of between $5 million and $25 million, and produced income last year of between $100,001 and $1 million. Under Senate rules, candidates and officeholders list assets in broad ranges. In the 2012 presidential race, Republican Mitt Romney's investments in the Cayman Islands became a source of controversy. Politifact gave a True to a TV ad from President Barack Obama that criticized Romney on the issue. There is no indication that their offshore investments allowed the Scotts themselves to avoid paying their share of U.S. taxes. "Governor Scott has always followed all state and federal tax laws," his campaign said. Scott's finances will remain an issue in the general election phase of his battle with Democratic Sen. Bill Nelson, which will begin Wednesday, the day after Tuesday's primary. As the Times/Herald has reported, the Scotts last year invested $3 million in a credit fund of the parent company of All Aboard Florida. The state-regulated firm operates a commercial rail line on Florida's east coast and has expressed a desire to run a high speed rail line from Tampa to Orlando that Scott now supports, even though he rejected $2.4 billion for a similar project in 2011. 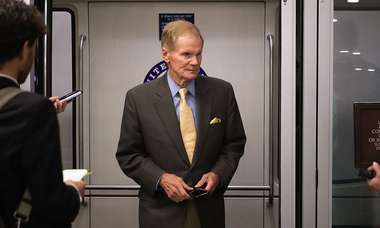 Scott's Senate campaign noted that neither he nor Ann Scott has a direct investment in All Aboard Florida. In addition, Scott's statement shows that he had investments last year in companies that did business with the Maduro regime in Venezuela, after Scott called on state investment fund managers to sever ties with businesses that do business there. The Scotts also held stock — since sold — in a worldwide shipping firm whose clients included a firm with links to the Vladimir Putin regime in Russia. The governor said in July that Putin "could not be trusted." In those cases, Scott's campaign said that because his assets are held in a blind trust, he had no role in selecting any of the investments. Scott's campaign has said Nelson has profited from firms that do business with Venezuela and that he invested in a Russian bank that was hit with U.S. sanctions. The Scott-Nelson fight over investments is covered here.